Andy Diggle -- the British writer who redefined Green Arrow at DC Comics, developed the groundbreaking series The Losers at Vertigo, thrilled readers with an incredible Daredevil run at Marvel, and scripted the critically acclaimed Dynamite tale of international intrigue, Uncanny --now lends his skills to the original international man of mystery in James Bond: Hammerhead, a six-issue miniseries premiering in October! 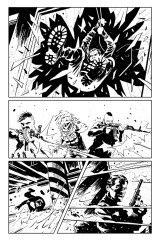 The first issue, illustrated by Luca Casalanguida, features three covers, including new work by Francesco Francavilla (Afterlife with Archie), Robert Hack (Sabrina, The Black Hood), and Ron Salas (Six Million Dollar Man)! 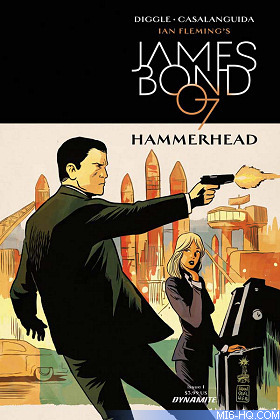 In Hammerhead #1, Bond is assigned to hunt down and eliminate Kraken, a radical anti-capitalist who has targeted Britain's newly-upgraded nuclear arsenal. But all is not as it seems. Hidden forces are plotting to rebuild the faded glory of the once-mighty British Empire, and retake by force what was consigned to history. 007 is a cog in their deadly machine - but is he an agent of change, or an agent of the status quo? Loyalties will be broken, allegiances challenged. But in an ever-changing world, there's one man you can rely on: Bond. James Bond. "I have never been more thrilled to take charge of a character. James Bond has been with me from childhood, and his influence runs through almost everything I've ever written" says writer Andy Diggle. "Like all truly iconic characters, Bond remains timeless, reinventing himself for each new generation while remaining true to the core of Ian Fleming's original creation. By bringing the Bond of the novels into the present-day world, with all its challenges and complexities, we get the best of both worlds - Fleming's dispassionate 'blunt instrument' in a post-Cold War landscape of mass surveillance, drone strikes and WMDs." "I'm delighted to be working again with Andy Diggle, who is a true natural when it comes to this material," says Joseph Rybandt, Executive Editor. 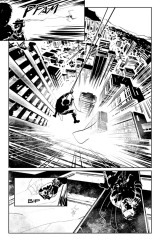 "Also, Luca Casalanguida is one of the best artists to come across my desk in years. It's a wonderful combination and a true artistic and natural expansion to our modern Bond world." 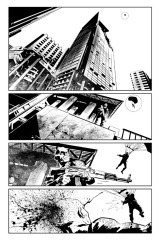 "Andy Diggle's brand of intrigue fits perfectly with James Bond," says Dynamite CEO and Publisher, Nick Barrucci. 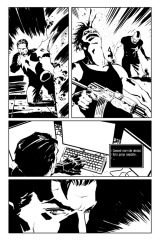 "When we talked about writers to tackle our first James Bond miniseries outside of Warren Ellis' incredible storylines VARGR and EIDOLON (from the ongoing James Bond issues #1-6 and #7-12, respectively), Andy's name was at the top of our list. 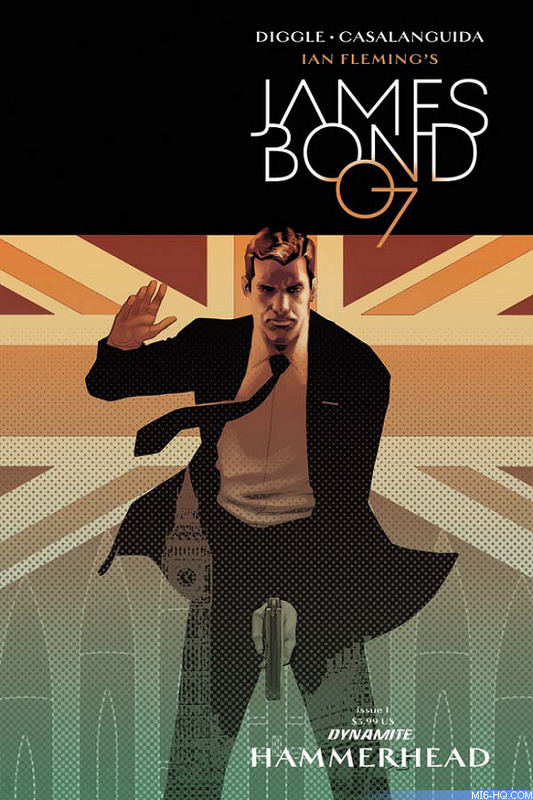 This new mini is the perfect addition to Dynamite's growing library of James Bond!" 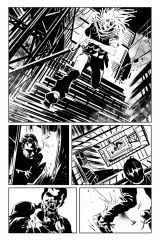 James Bond: Hammerhead #1 is slated for release in October. 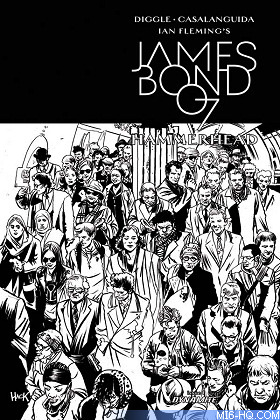 Comic book fans are encouraged to reserve copies of James Bond with their local comic book retailers. 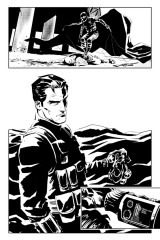 James Bond: Hammerhead will also be available for individual customer purchase through digital platforms courtesy of Comixology, Dynamite Digital, iVerse, and Dark Horse Digital.